Google's approach to local search involves using yellow-page and business-directory information from third-party providers, integrating it with information about individual businesses from Google's main Web page index. When you search directly from the new local search form, results are displayed in three columns, including business name, address, and related Web pages. 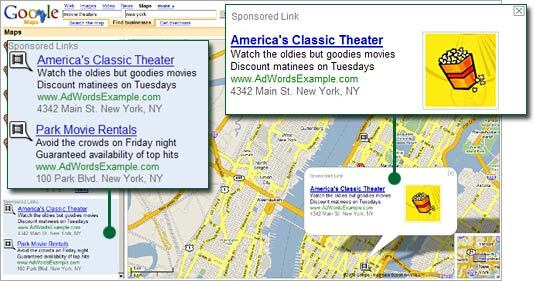 Clicking on the link to a business name displays a business reference page with details about the business, a map, a button to get driving directions, and Web pages related to the business found in Google's main index. Local search is also integrated into the main Google search box. If Google detects your query has local intent, you'll see three local search results, at the top of the page, with a link to additional local results for your query. Local businesses can write up additional information on their Google Local listings including hours, business description, types of payments accepted. You register and fill out the information, and then Google sends you a sealed postcard with a PIN number. With that PIN number and your account information (which they don't put on the sealed postcard) you can update your information. Once you activate your information with a PIN it takes about a month to update their listings. If you have a business with a physical address, Altherr Web Design will get your business listed in the local search results. All you have to do is send us a copy of the postcard sent by Google and we will take care of the rest. This feature comes with our SEO services and is not offered separately. More features, like the ability to add printable coupons, are being added regularly and we will stay on top of all of this and let you know what's available.